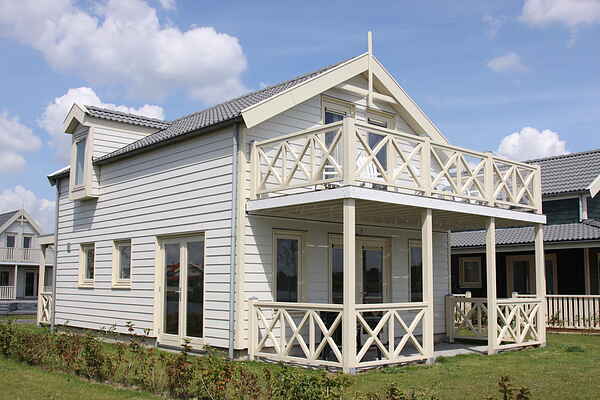 The spacious and comfortable villas are spread out over holiday park Zuytland Binnen. All villas are detached, on the water and have a veranda and garden furniture and have (multiple) sliding doors. You have the choice of five different variants: There is a 4-pers. type (NL-3212-01 with two or three bedrooms) and there are four different 6-pers. variants. The standard type (NL-3212-02), a standard plus type (NL-3212-03, just as the standard, but larger and with a second bathroom), a luxury type (NL-3212-04, just as the standard but with a sauna). Something for everyone !